Two simple architectural forms sit inoffensively parallel to one another balancing the building on the small 450m2 site while also giving it a sense of presence. Clad in black cedar this has a strong connection to the neighbouring Bottle Lake Forest located nearby. A new chapter in redefining what new house / home design could be. 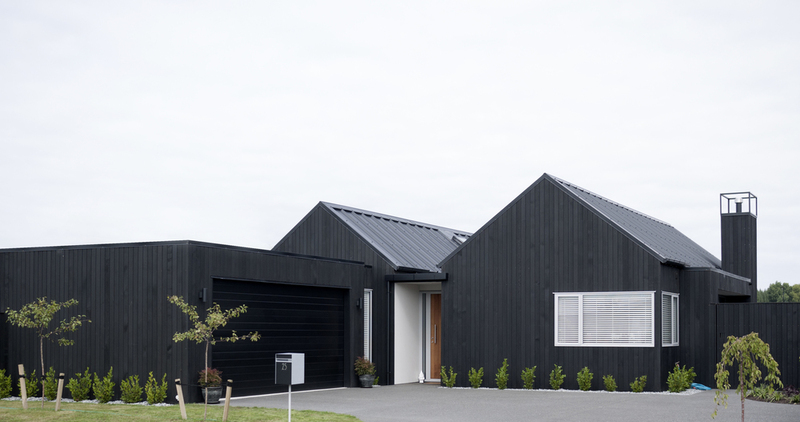 Residential Christchurch Architecture in its simplest traditional form. Looking for a local Architect or Architectural Designer? Yardley and Foster are dedicated to architectural excellence. The design of this family home in Ashley Forest Canterbury responds directly to the movement of the sun, the breezes and the trees on the site to create a series of inviting spaces for living. The clients wanted home that would accommodate the changing dynamics of their family over many years. 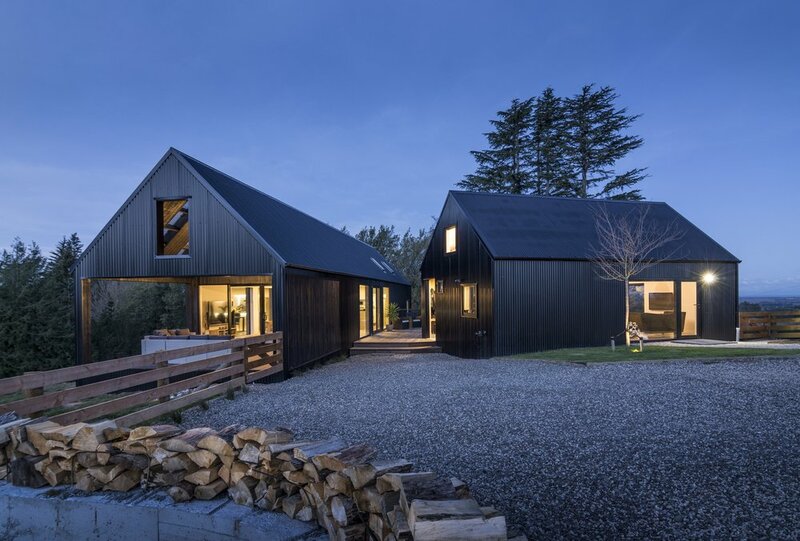 Whilst seeking a traditional architectural vernacular often sought by Christchurch Architects to simplify building typology, Yardley and Foster as Architectural Designers have set out to achieve this. A four bedroom home which has the potential to change. Designed out of the clients curiosity to explore a new way of interacting with the urban landscape. Setting new principles and standards. Questioning its surroundings and putting in place strict guidelines to manage a balance of cost and design. Many a local architect has pushed the boundary of what a residential home could be. Here on the fringe of city and rural settings Yardley and Foster Architectural Designers explore form and materiality to create a new dynamic architecture with a classic twist.